Adaptation can mean the difference between simply surviving or triumphantly thriving. In the golden age of ecommerce, nothing matters more than your ability to scale and evolve. As the ecommerce landscape grows more complex, your business must match this rate of change to perpetuate growth. With new software platforms and technology becoming available every day, it’s hard to cut through the clutter and find the best solution for you. Stop the guesswork. Let our experts guide you with our carefully curated list of suggested integrations and ecommerce platforms to help you outpace industry change. Leave your legacy platforms behind, or bring them into the new age with higher efficiency and more appeal. Let’s create your beautiful, responsive, high-converting ecommerce site. Since 2008, Redstage has become a global leader in ecommerce design and development. We have expert solutions with Magento, Shopify Plus, and BigCommerce Enterprise. Your store is only part of your business. Backend systems are crucially important for decision making and planning for the future. The more integrated your systems are, the better. Redstage has worked with multiple systems and created advanced integrations with APIs. Let us help connect your systems together and improve your business. Digitize, centralize, and optimize your entire product catalogue to keep it unified across sales channels. Control quality, manage consistency, leverage SEO, and simplify backoffice operations, all from a single platform. Want to start maximizing revenue from existing site traffic? We offer a variety of solutions to give you rich insights into any and all site activity; tracking performance, suggesting optimizations, and keeping your site secure. Fast and accurate shipping is critical, whether you’re stocking satellite stores, negotiating with buyers, managing warehouse inventory, or building out your B2C channel. Let us find the best shipping solution to track, time, or automate your delivery operations. Tax laws are changing almost as rapidly as fraudsters are finding new ways to rip off companies. We can help you find the right solutions to make worrying a thing of the past. As a Magento Enterprise Partner and having worked on more than 700 Magento sites over the past decade, there’s no one better to handle your Magento 2 Migration. Is SaaS more your style? 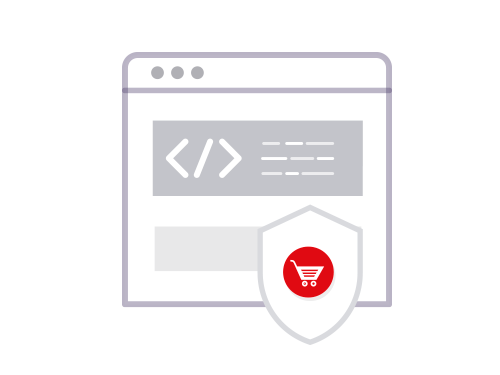 With BigCommerce as your ecommerce platform, you can get started quickly and focus on growing your business. Redstage is proud to be one of only 22 BigCommerce Elite partners in the world. We’ve partnered with Shopify Plus to provide enterprise ecommerce solutions that are rapid to market, nimble, and infinitely scalable. While these are just a few of the key integrations we suggest for B2B operations, the Redstage team has worked with a multitude of other systems, and there’s nothing we can’t handle. Check out out Partners page for additional integrations suggestions, or reach out today to ask about our experience with a specific software platform. If it doesn’t exist, chances are we can build it.